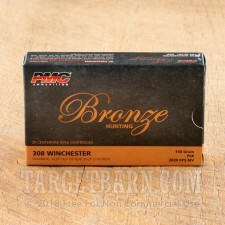 Hunters will appreciate the reasonable cost and effective terminal performance of this .308 Winchester ammo from PMC. 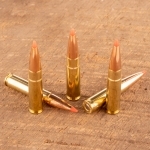 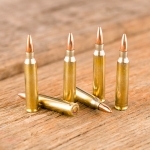 These cartridges fire pointed soft point (PSP) bullets that are designed to expand for maximum lethality against deer, boar, and other game animals. 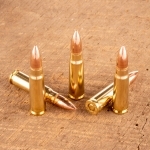 Unlike hollowpoint rounds, soft point bullets do not fragment heavily and destroy large amounts of meat in the target. 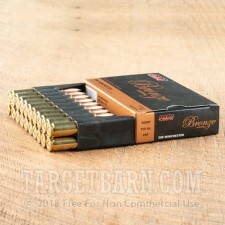 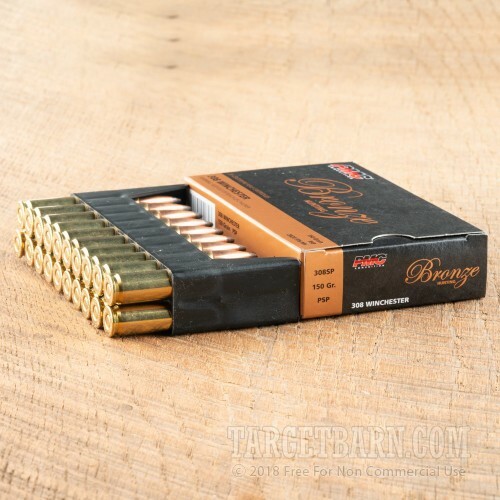 Each cartridge in this 20-round box fires a 150-grain PSP at a muzzle velocity of 2,820 feet per second. 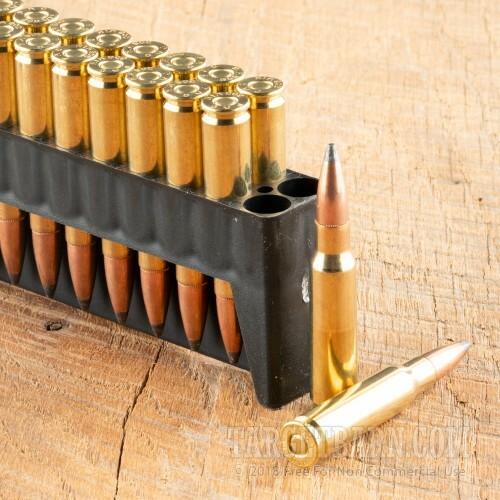 While this is not mil-spec ammo, it produces in-flight ballistics comparable to those of M80 loads--a plus if you use that ammo at the range and don't want to make large adjustments to your optics. PMC ammo is made in South Korea using internally sourced non-corrosive Boxer primers and reloadable brass. 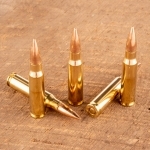 Poongsan, the maker of PMC ammo, is also a supplier to the South Korean military.